XXXTentacion mort tragiquement : tout le rap game réagit !!! 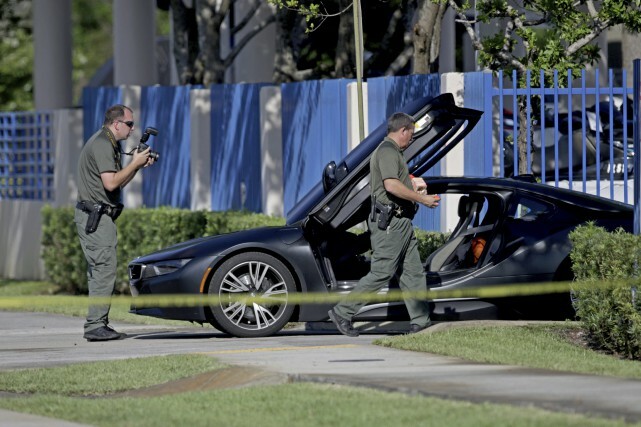 Quelques heures après le décès du jeune prodige du rap US, XXXTentacion (20 ans), lors d’un vol à main armée à Deerfield Beach en Floride, les rappeurs du monde entier réagissent sur les réseaux sociaux. Il disparait 6 mois après un autre jeune rappeur : Lil Peep, mort d’une overdose le 15 novembre 2017 à l’âge de 21 ans, et au même moment qu’un autre artiste en devenir, Jimmy Wopo tué cette nuit par balles à Pittsburgh (dans le quartier de Middle High), à tout juste 21 ans également. Damn #RipXxx dats fucked up! i dont know what to say… im sorry. and we’ll miss you doesnt cut it. no one deserves to go this young. i found a friend in you, someone with no judgement. someone who understood what being judged felt like. you were someone who was trying to better themselves. your art made such an impact on peoples lives… including mine. i am so lucky to have called you a friend and to have a beautiful song with your voice, name and lyrics in it. at this point i feel as if im at a loss for words and nothing i say will do your justice. im so sorry this had to happen to you. im so sorry someone took you from your family at such a young age. im grateful to have known you the short amount of time i did. im grateful for every bit of advice you gave me. i will hold it with me forever. you are so wise. my love goes out to your mom and everyone who was close to you and got to know you more than any of us. i am envious they got to know your beautiful heart. rest peacefully. please respect him, his family and friends and stop supporting all of these nasty TMZ reports. give them privacy and respect. please. Je trouverais le moyen d’exister bien après mon dernier souffle. L’art résiste au temps.